There were no reported injuries, according to Hillsborough County Fire Rescue. 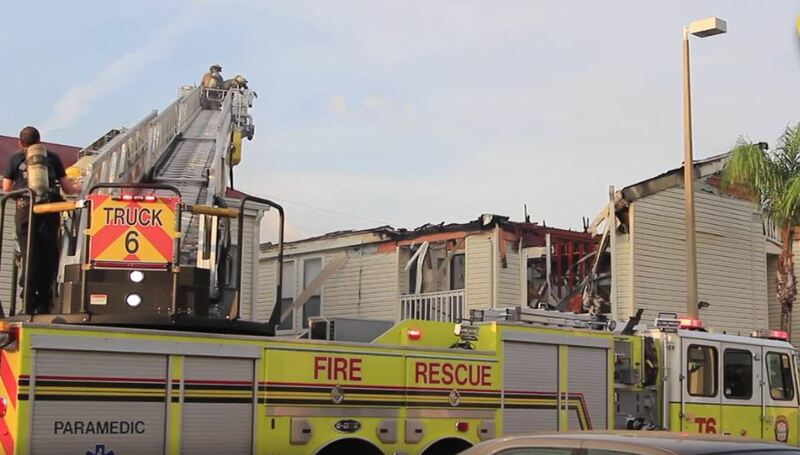 TAMPA – A fire apparently caused by a faulty air conditioning unit burned an apartment building Friday (April 28) evening, according to Hillsborough County Fire Rescue. Firefighters received reports about 6:05 p.m. of a fire in an apartment building in the 12700 block of University Club Drive. When firefighters arrived, they found heavy fire and smoke coming from one of the units. 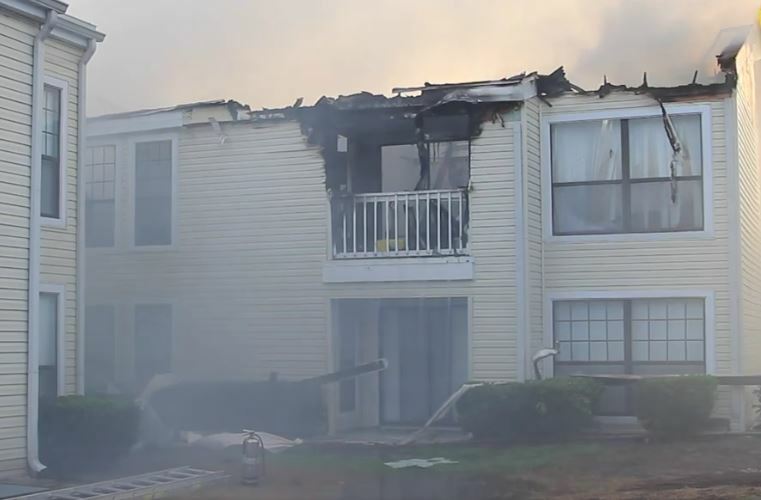 Firefighters, Hillsborough County sheriff’s deputies, and apartment security officers evacuated the residents in the involved apartment unit and residents from three adjoining buildings. Aerial operations were set up outside the involved apartment building, and a second alarm was called. It took firefighters about an hour and a half to get the fire under control. There are no reported injuries at this time. 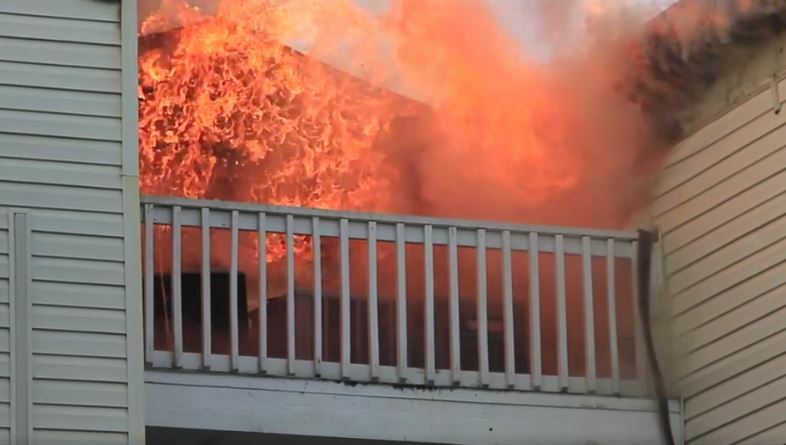 Investigators have determined that the cause of the fire is electrical or mechanical failure in the area of the apartment building’s air conditioning units. The American Red Cross has been called to the scene to help displaced residents. For a video of the fire and information about Hillsborough County Fire Rescue, go to facebook.com. Photos taken from video provided courtesy of Hillsborough County Fire Rescue.